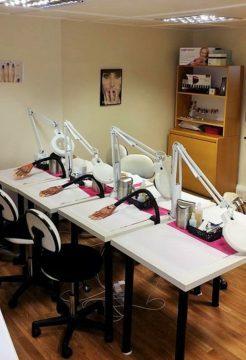 Our beauty diploma and Qualification courses within beauty, nail and make-up in Milton Keynes are run at our easily accessible Beauty School situated in the village of Apsley Guise close to Milton Keynes and the M1. At the Fir Tree Hotel roundabout turn up Aspley Hill. After 300m Aspley Hill becomes West Hill. After 1 km you will see a large thatched house on your left called The Steamer and opposite this is the entrance to 5 West Hill between 2 white buildings. Follow Bedford Road towards Aspley Guise. After 1 km you will see the village centre with The Blue Orchid restaurant and Moore Place hotel on your left. Carry straight on to West Hill and 5 West Hill is the first small turning on your left between 2 cream rendered buildings. 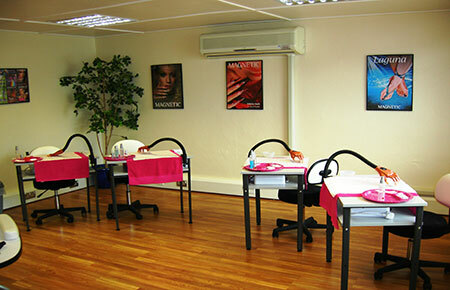 Parking is available on West Hill within a short walk of The Beauty Academy. At weekends, parking is available on-site. Our diploma and VTCT beauty, holistic, nail and make-up courses in Milton Keynes are run at our well-equipped and beautifully-presented centre located in Aspley Guise, set in a quiet, beautiful village with ample parking, making it easily located and accessible by car or via public transport from the main town. Our homely Milton Keynes centre is situated on the edge of the town in a quaint, picturesque village in a courtyard on West Hill. 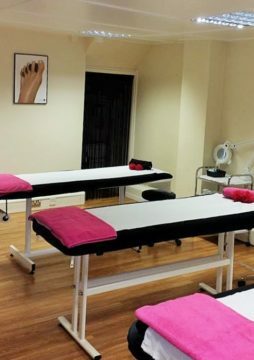 The centre itself has two floors, often complimented by students on its interior, particularly the wooden beams and décor on the first floor. 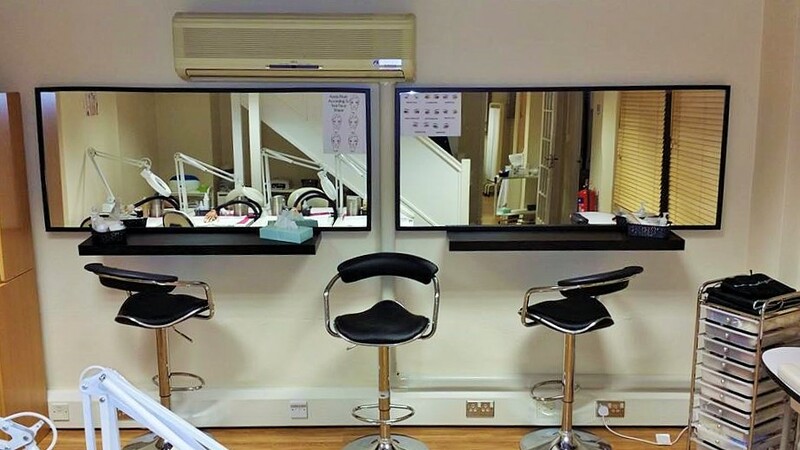 Our massage area has a spa-like appearance to ensure you are relaxed during your training, whilst the make-up/nail studio is spacious, lined with mirrors, and has all the high-quality equipment you could need to complete your course. There also is a student area for theory work and a kitchenette to use during your lunch break on the first floor. 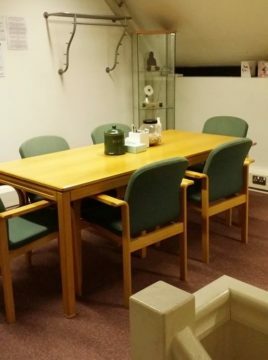 There is parking available around the centre, and we recommend travelling to the centre via car due to some restrictions when using public transport.